Don’t let your auto accident injury get in the way of living an active lifestyle. Dr. Keren Gomez offers chiropractic treatment of accident pain in Miami and the surrounding areas for natural relief of a potential of life with chronic pain. If you've been injured in an accident, don’t wait to be treated by a doctor. The sooner you are examined and diagnosed by a chiropractor, the sooner you’ll find relief for your accident injury pain. With a number of convenient locations throughout Miami, patients of Dr. Keren Gomez are able to quickly resume an active lifestyle that is free of pain. Have you been injured in an accident? Aside from calling 911, many people don’t think to contact their chiropractor right away after being involved in an accident. Chiropractic treatment for your accident injuries should begin right away as treatment is critical for proper recovery. We suggest that patients schedule an appointment within 14 days of being involved in an accident. With prompt chiropractic care, you increase the likelihood of developing worsening and chronic pain. At Dr. Keren Gomez, our doctors will take the time that is necessary to provide you with the highest quality of chiropractic care. After an exam, we will provide you with a diagnosis and a treatment plan that is targeted and unique to your injuries. As a patient of Dr. Keren Gomez, your accident injuries will be properly detailed and documented and promptly reported to the insurance company. Having your professional chiropractor complete your insurance claims will provide you with the best chance of a quick turnaround time. Dr. Gomez will assist those patients who are in a situation where their insurance company is not willing to pay for medical bills related to accident injuries. Dr. Gomez will be able to connect you with a Miami attorney who can represent you as needed to relieve you of your financial burden. Your attorney can also help to accelerate repairs to your vehicle that was involved in the accident. Additionally, lawyers are helpful in communicating on your behalf with insurance companies on claims for damages and suffering. Your accident recovery process will be much more efficient when you are represented by a team of professionals. 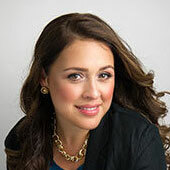 If you are suffering from pain due to an accident, call the offices of Dr. Keren Gomez today. 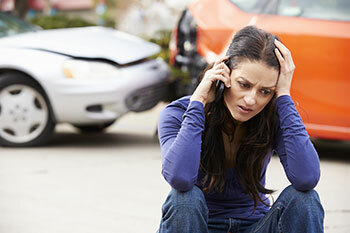 We are dedicated to helping our patients take back their lives after an accident. Whether you are suffering from migraines, back pain, neck pain, limb numbness, weakness, or pain, or any other type of pain caused by an accident, our chiropractic care in Miami can help you with pain relief and avoidance of future chronic conditions. We invite you to contact our accident pain office in Miami to learn more about how our comprehensive care can assist you with everything from diagnosis and treatment, to obtaining proper legal counsel. Call our office today at 305-761-6528 or click here to complete our convenient online contact form.